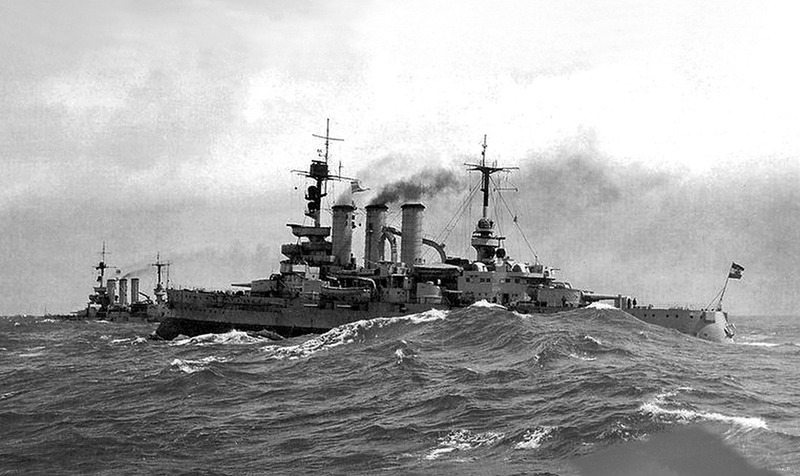 Was the second ship in the III Division of the 2nd Battle Squadron. Covered the retreat of Hipper&apos;s batle-cruisers. The min force turned westerly to avoid fire from Beatty but Mauve&apos;s ships continued south to block the battle-cruisers from Beatty&apos;s ships. When the 03:00 destroyer attack was launched, Hessen only just avoided at torpedo at 03:07. Hessen thought that it awas a submarine that had destroyed the Pommern and at 03:12 fired at what she thought was the submarine. At 05:06 and 05:13 she repeated firing at imaginary targets. Hessen fired five 28 cm rounds, thirty-four 17 cm and twenty-four 8.8 cm rounds. 3 shaft with three 3-cylinfder Triple Expansion steam engines with 8 naval and 6 cylindrical boilers. Rated at 17,000 ihp.